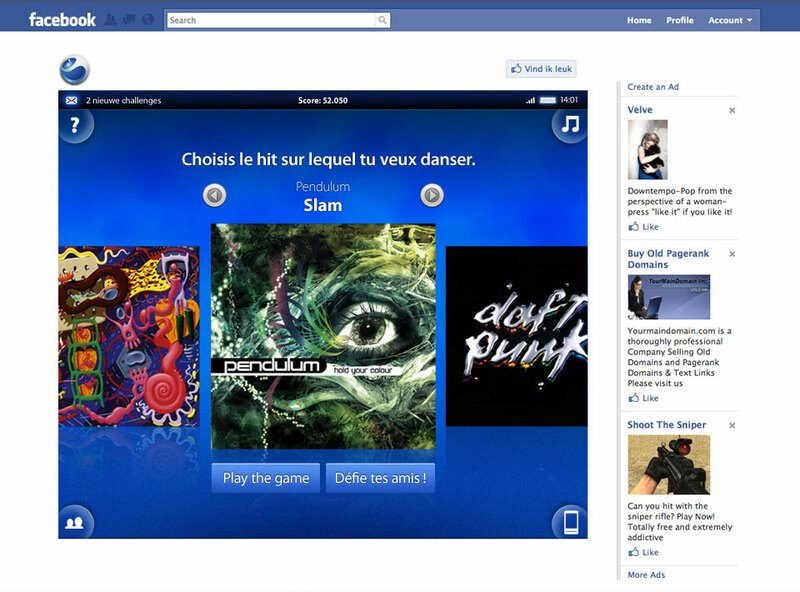 The Facebook app's home. Just like the phone's UI, the corners were used for navigation. 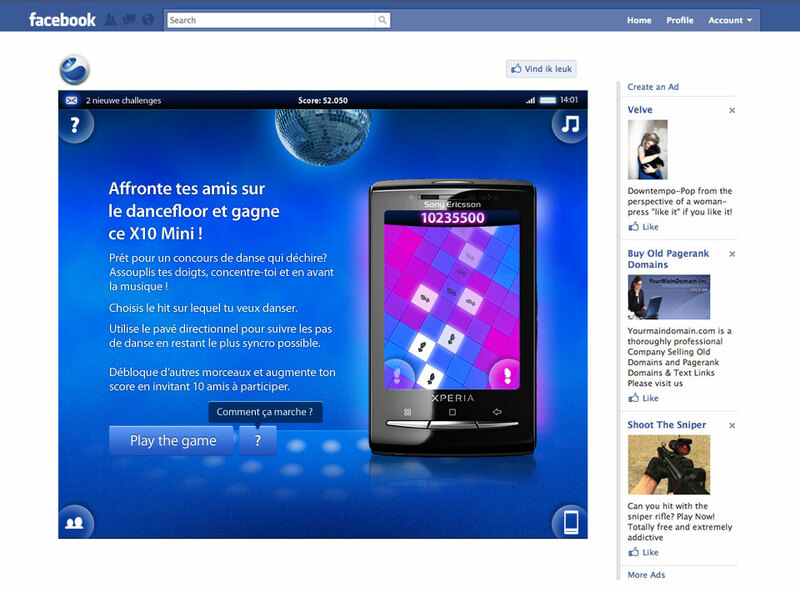 The game itself, a rhythm game in the vain of DDR and Guitar Hero. After playing, players were encouraged to "challenge" their friends for points. 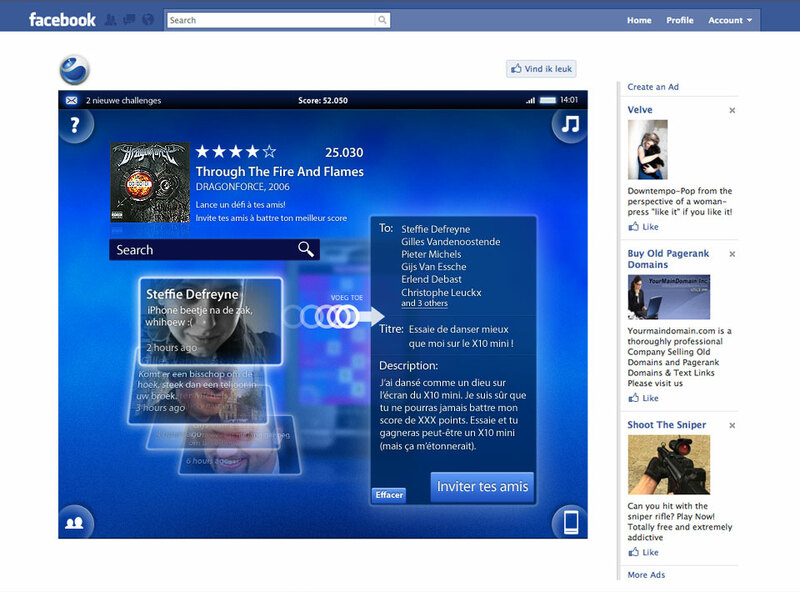 This interface emulated Sony's Timescape UI. 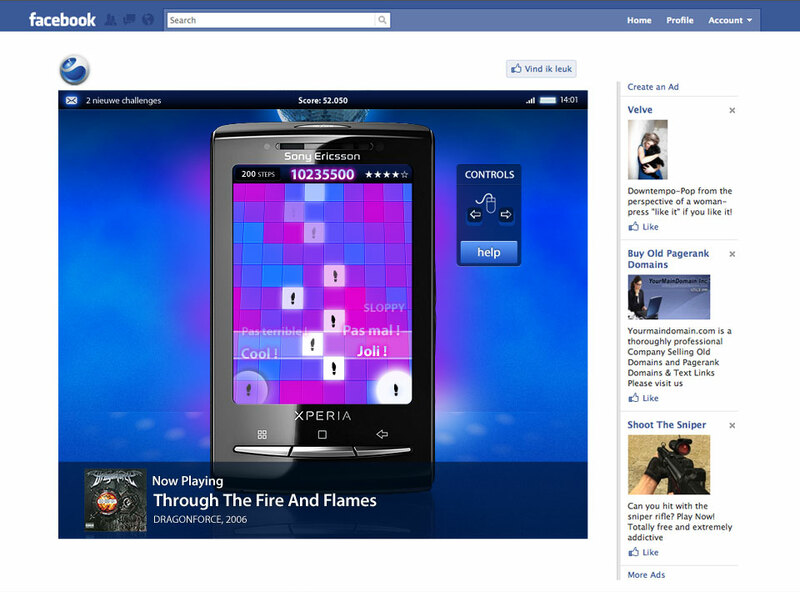 Facebook Application for Sony Ericsson's Android-powered Xperia X10 Mini cellphone. The concept revolved around "dancing fingers" and so I helped to design a simple rhythm-game in the vain of Dance Dance Revolution- and the Guitar Hero franchises.